There was barely time to repack my bags before I had to head off for a few days in London. I took a Berry’s Coaches bus to Hammersmith in the morning. My neighbour was part of a group of retired Girl Guide leaders – we began to chat when she commented on my lucet. Not many people would know what one was! My sister and I took the train from Surbiton to Waterloo for a day out on the South Bank. 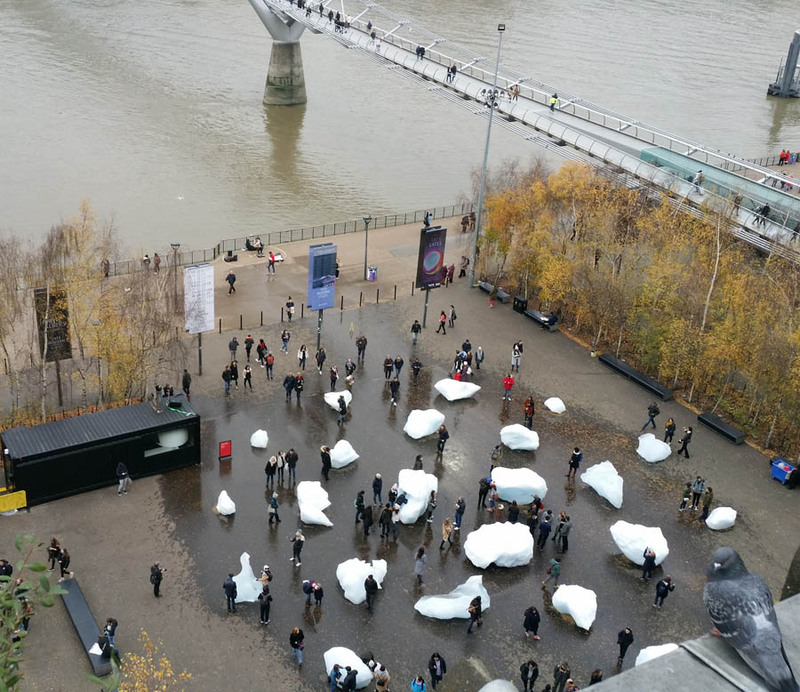 The Tate Modern had an outdoor exhibition by Scandinavian artist Olafur Eliasson, called Ice Watch. 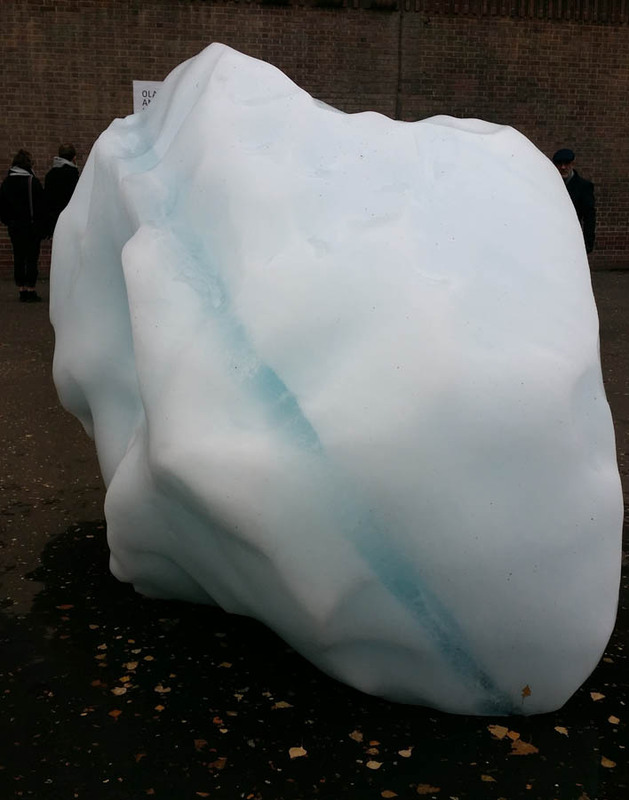 Thirty blocks of ice from Greenland were arranged in a rough spiral, reminiscent of standing stones, and left to melt, as a statement about global warming. Some of the ice had veins of subtle colour running through it. We climbed the stairs to the Members’ cafe, which has a good viewing balcony. 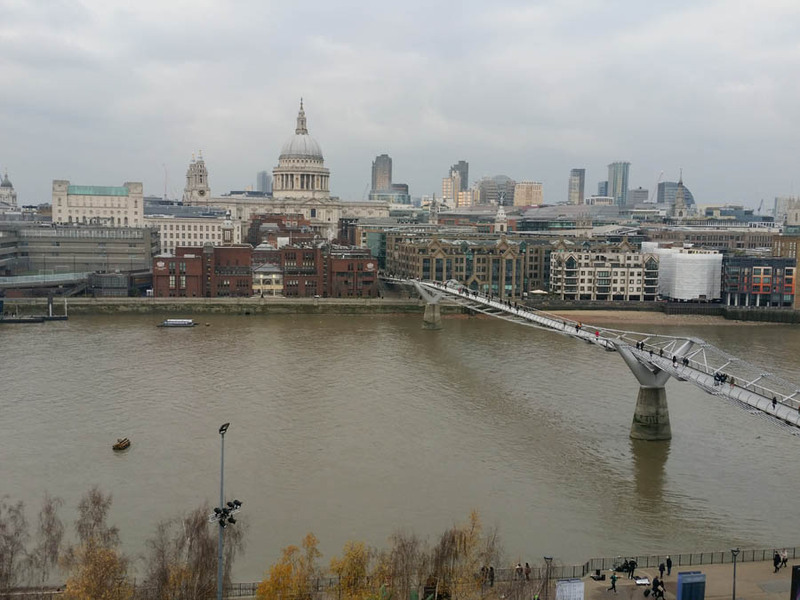 The traditional vista with St Paul’s cathedral was impressive too. The Hayward Gallery also had an interesting exhibition, called Space Shifters, featuring mirrors and transparency. 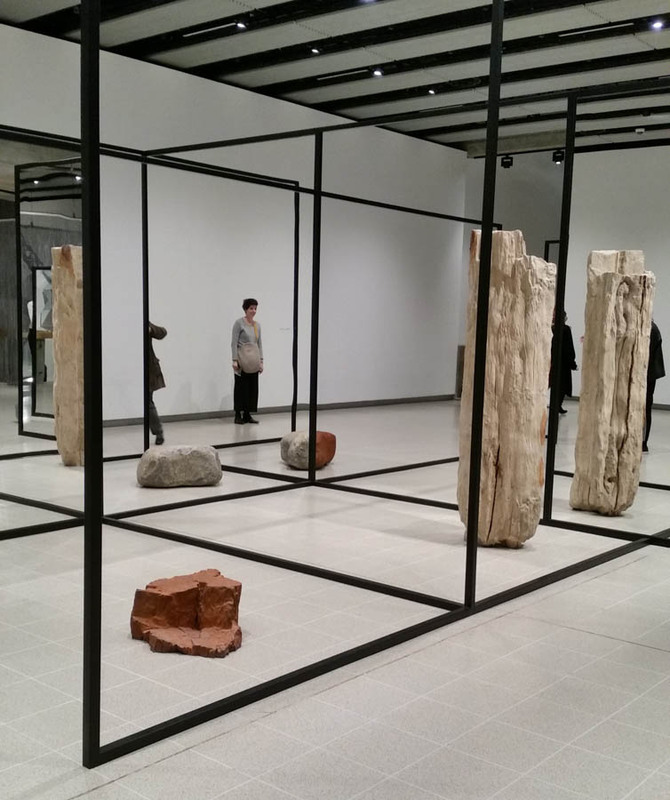 The rocks and pillars in the picture below changed colour in a most intriguing fashion as you walked among the frames, some of which were filled with glass. 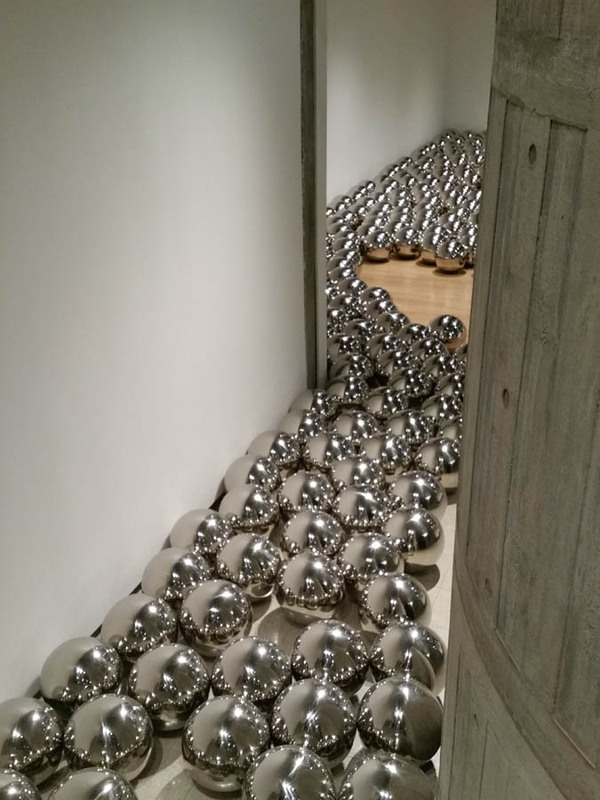 This picture is of ‘Narcissus Garden’ by Yayoi Kusama. The exhibit by Richard Wilson was genuinely unsettling. 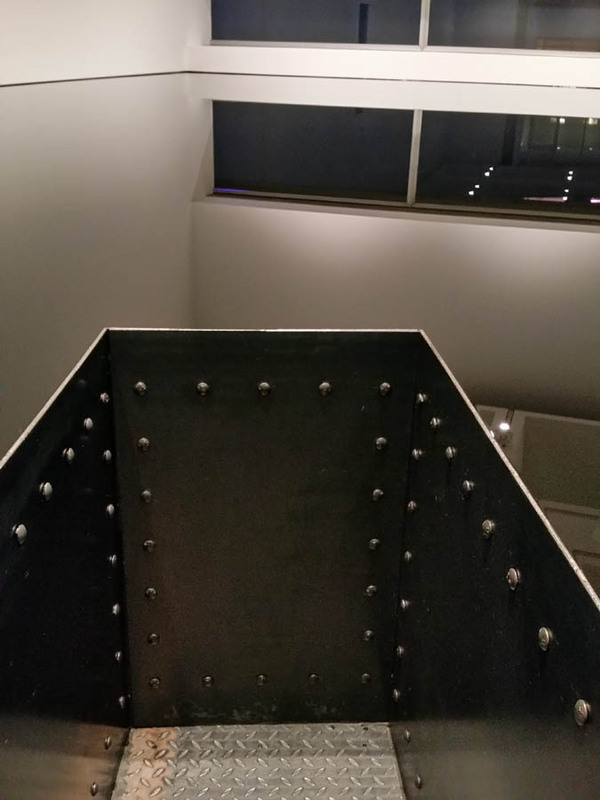 The metal structure is a walkway projecting into a room filled with used engine oil right up to the very level of the handrail. Although the oil is deep black, it holds a perfect reflection of the upper half of the room. The walkway narrows as you go deeper in. One is held by the illusion, yet at the same time aware that to touch the edge of the walkway is to court disaster – at least for your clothes! As a country mouse I always find the South Bank entrancing. It seems to me to be the real heart of London, with the booksellers’ market, the colourful skateboard arena, and the performance artists. This vibrant street life takes place against the backdrop of the art galleries, the famous Globe Theatre, the London Eye. If you tire of land, you can lean on the handrail and watch the River Thames rolling slowly to the sea, washing scraps of history up along its gravel shores. It’s a good place for reflections. 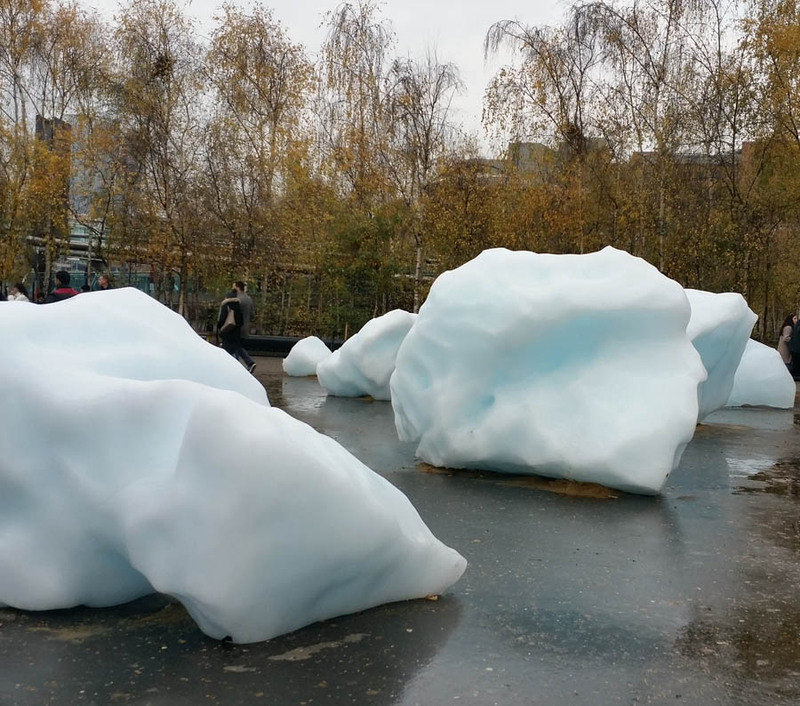 The ice blocks have melted now and there is a good timelapse film of this, which can be found on Olafur Eliasson’s website. Like its subject, the film is already vanishing into the sea – this one of the discarded ephemera from yesterday’s social media. It’s easy to find beginnings, new news, the latest topic. Discovering what happens next, how it ends, is far more difficult.